The Plantation Terrace Condos For Sale are situated in an adult 55 and older community designed by South Florida’s mid-century architect Robert Jahelka. It is located in the heart of Plantation, Florida and Tree City USA Certified for over 3 decades! The Condos at Plantation Terrace are close to the city’s shopping, banking, parks, library & 4 golf courses. 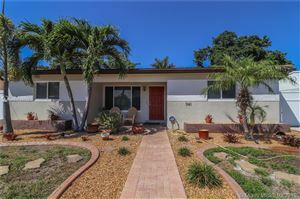 Call (954) 999-5207 immediately to go see it today! Click HERE to search for homes that are for sale in this lovely condominium community. If you see something that you like then give us a call (954) 999-5207 and we’ll set up a showing for you today! is diverse with approximately 40% of the population identified as Hispanic or Latino and 20% identified as Black or African American. The City has a total area of 34.4 square miles spread east and west between the Florida Turnpike and US 27. Read Pembroke Pines Census Quick Facts Click view map to explore additional datasets pertaining to the City of Pembroke Pines.